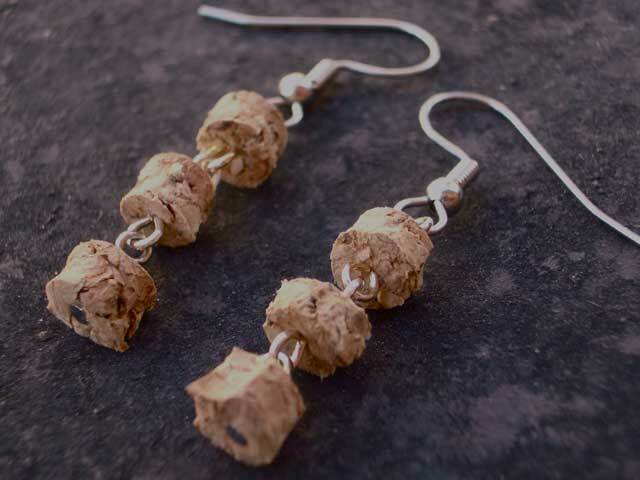 The disks in these dangles are punched out of salvaged wine corks, joined together by eye pins. The Mini Merlot hangs 1” from the base of a surgical steel french hook. These recycled beauties have a simplistic, natural look to them, yet are curious enough to the onlooker to attract a little attention. Oh, yeah, and they float!